Please Note! - These Pages are NOT maintained by The BBC Or Dandelion Radio. 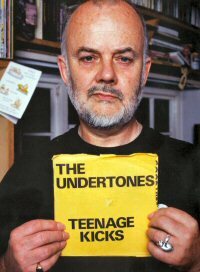 It is an archive of John Peel's Festive 50's. 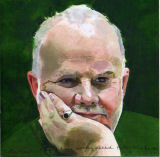 Click HERE to visit the official John Peel BBC site. “We are an internet radio station inspired by the work of the much-missed UK DJ John Peel. In an age where terrestrial radio stations are increasingly moving towards automated output, combining pre-recorded DJ links with a predictable playlist & where most internet radio stations seem to be simply a stream of uploaded MP3s with no effort on the part of the DJ, our aim is to provide a challenging, unpredictable & often uncompromising mix of new & old music, selected by DJs who love it & presented by those DJs in a traditional radio style in shows recorded as live. We want to serve the needs of the people who create & distribute new & interesting music &, thereby, provide a unique listening experience to listeners, with the spirit of John running through all we do.” During November 2006, Dandelion Radio were asked to take over the Festive Fifty from BBC Radio 1, its home since John Peel set it up in 1976. After John Peel died in 2004, the chart for that year was played by Rob da Bank. 25. 65 Days of Static - Retreat! Retreat! Huw Stephens from Radio 1’s OneMusic strand, the original replacement for Peel’s show, joined fellow OneMusic presenter Rob da Bank for the chart for 2005. 12. Los Campesinos! - You! Me! Dancing! 14. The Nightingales - What No Blog? 22. Los Campesinos! - You! Me! Dancing! 11. Lovely Eggs - Have You Ever Heard a Digital Accordion? 24. Sarandon - Kill Twee Pop! 37. Deirdres - Claire, Are We Safe To Be On Our Own? 44. Parallelograms - 1-2-3 Go! 36. The Humms - Are You Dead? 37. Art Brut - Demons Out! 6. Bearsuit - When Will I Be Queen?